The Irish Womenâs Senior Squad travel to Malta this weekend to participate in a training camp as well as competitive games against the Maltese National Team and a number of Maltese National League sides. The invitation was extended by Malta and forms part of their preparations for the European Group C Finals which take place later in May. 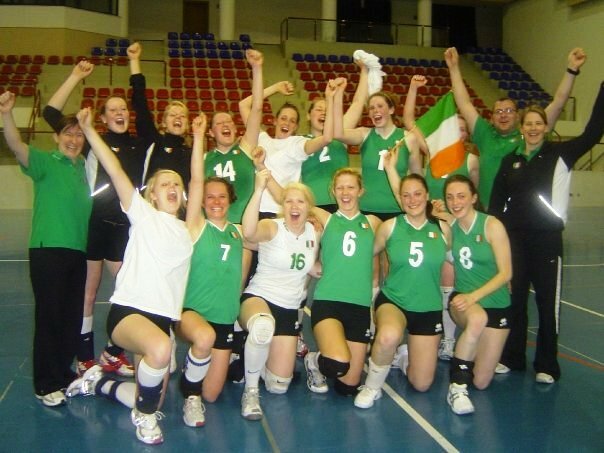 It also gives the Irish squad a chance to play some competitive volleyball with relatively little pressure. It is at this weekend that the coaches get their first view of all of the players in action on an international stage with each player having plenty of court time to gain experience and demonstrate their skills. With four games to play each will get their opportunity to shine! The daily schedule includes training each morning with a game each evening with lots of time in between for a review of the previous game, preparation for the next game and team and individual feedback. All this is balanced with free time (or study time for some) so that the team get to do some bonding too! The squad members would also like to thank everyone who generously contributed to their fundraising raffle which took place at the VAI Annual Awards Dinner 2009 in the SAS Radisson Hotel last Saturday evening.